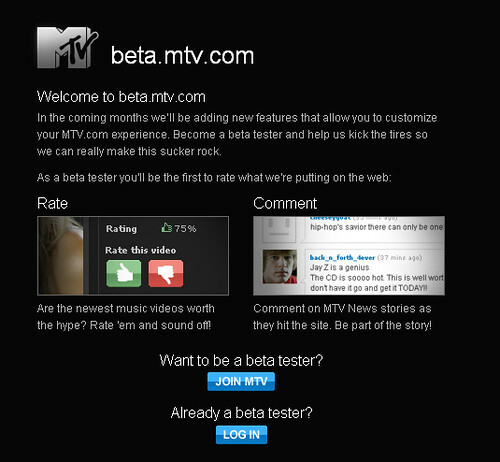 If you are curious about the changes happening over at mtv.com, sign up as a Beta tester. It’s interesting to read some of the comments kids are leaving. You can read more about the community beta launch on the MTV Labs blog.